It’s hard to believe that it has been almost a year-and-a-half since I starting learning Acumatica (click here)! It’s time to assess where I’ve been and where I’m headed (as far as I know) on this journey. Keep an appetite for learning (click here), never satisfied, never considering myself an expert (click here) no matter how much I’m able to learn about Acumatica. The interesting thing about ERP is that there are always multiple ways to approach a problem and always a new angle to consider things from. Keep it fun. This is still just a hobby for me and hobbies require an element of fun. Someday I’d like to include Acumatica in my career path, but I’m happy at the moment at The Robbins Company working full-time as an ERP Systems Analyst with Sage 500 ERP (click here). Until that changes, Acumatica will remain a hobby for me and so I like to have fun with it. 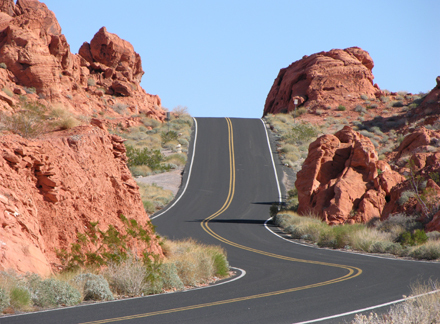 On the topic of keeping it fun, I view my Acumatica learning journey like a road trip. I like road trips, and any good road trip consists of both highways and byways. The highways get you from point A to point B quickly which is necessary, but not so scenic and not so fun. A good road trip also consists of travel along the byways, the lesser known routes that meander through interesting countryside and past interesting landmarks. The byways are what make a road trip fun. For me, the highways on my Acumatica journey have been the courses in Acumatica University (click here). These courses allow me to learn a lot quickly without having to fumble around in the dark on my own. I can usually figure things out on my own eventually, but it takes a lot longer than if I just go through one of the Acumatica University courses. The courses take time though and moving to Columbus has made it a lot harder for me to devote the time (click here). There wasn’t as much to do in Cleveland, so it was easier to find time to spend on learning Acumatica. Although it’s more challenging here in Columbus since we have a lot more going on (which is great), I’m still endeavoring to continue learning Acumatica here and there, little by little. And to keep me motivated, I’m still committed to posting something every Thursday at 4:00pm Eastern (currently GMT -4). It’s great to know about the underlying technology since that is one of Acumatica’s biggest strengths (in my opinion), but I personally prefer to focus more on the application functionality. That’s why I’m looking forward to learning more about the Distribution, Manufacturing and Project Management modules. You only need two out of the three modules to get the next badge (Application Specialist), but I’d like to go through all three modules since I think they will be useful on my future career path. The byways are why this Acumatica hobby has lasted as long as it has for me. Having a local copy of Acumatica installed on my computer allows me to experiment with things on my own. This keeps it fun. Whether it’s having fun with file attachments (click here), the Acumatica Report Designer (click here), or hyperlinks (click here), experimenting with Acumatica on my own is what keeps things fun and keeps me going. Nothing is better than a real-world example to work with. I like experimenting with real-world examples because I get to think about a business problem, then consider how to use Acumatica to solve it. The is more fun than just learning about the Acumatica application without really thinking about how to actually use it. I added an Ask a Question button on the top of this website. Please send me real-world problems! I can’t promise an answer, but I can promise a response. I hope that this will help to introduce more byways to my Acumatica road trip.